Frame your diamond, a perfect rectangular shaped white sapphire or diamond is an eye catching engagement ring. 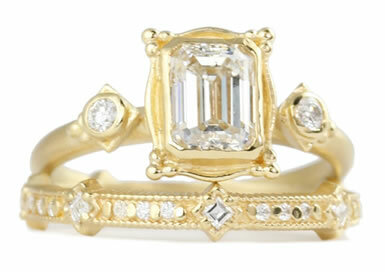 The center stone is flanked with two smaller round diamonds. Bezel set. Available with a 1.25 carat and larger. Diamond Band to make a perfect wedding.